Hey bud. It’s time to get recreationally, legal-ish-ly, totally, and vicariously high. 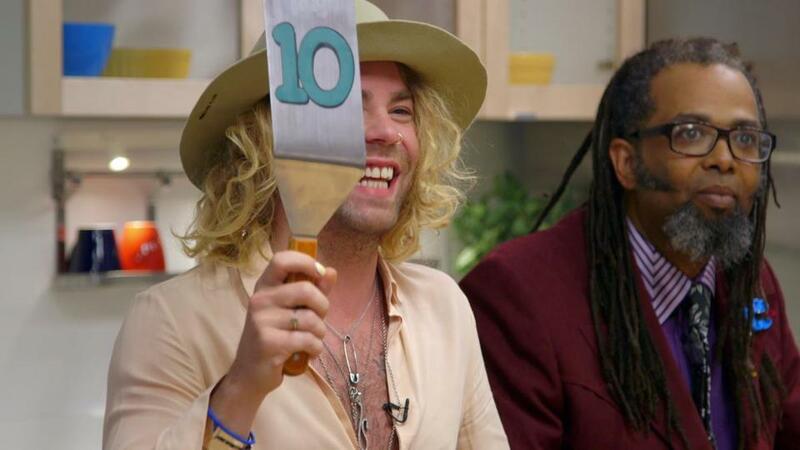 Here’s a new show on which pot lovers fill a lot of bowls — but with food, not weed. Of course, the food is made with marijuana oils and butters, and it will get them quite wasted. They’d be wise not to bogart that babka. “Cooking on High” comes to Netflix on Friday, complete with plenty of baking tips — tips on how to get baked while munching out (so that you can munch out some more). The series is framed as a competition between two chefs — in the first episode, one is a “Chopped” alum who’s an executive chef at an LA restaurant and the other is a cannabis-cooking expert trained at Le Cordon Bleu. Each chef cooks up a dish based on the same theme, and the judges taste them and then rate them on a scale of one to 10 pot leaves. The judges? In the premiere, they are two extremely experienced stoners. One is a rapper with quite a resume, which he describes to us: “My mom smoked when she was pregnant, and so I’ve been high since before I was born.” The other is a comic who says, “ I spend more money on weed than sandwiches, and I eat a lot of sandwiches.” He arrives at the shoot for the show already high, to perform his duties. The judges eat the food, and then pause for what the show calls a “THC Time Out,” which is essentially that period when they wait for the buzz to kick in before they select their ratings. Will “Cooking on High” succeed? We’ll see. It could be a blazing success.